If you use an Aviom Personal Mixer often, especially while playing with the same musicians, you may find yourself wanting to save your mixes to use over and over rather than always adjusting on the fly. The A-16, A-16II, and A-16R can all save 16 different mixes, one for each mix channel button—plenty of room for your mixes. The A360 adds four Instant Mix Recall preset locations, for a total of 20. The A320 Personal Mixer can save 8 mix presets, which are associated with its first 8 mix channel buttons. 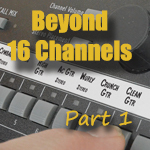 To save your mix on an A-16, A-16II, or A-16R/A-16CS, press and hold the RECALL and GROUP buttons (lower left corner) and then press one of the channel select buttons. 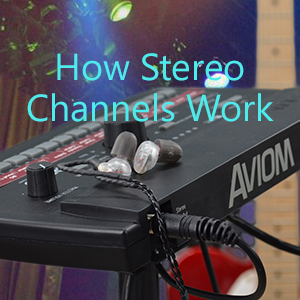 On all Aviom Personal Mixers, the channel select buttons also serve as mix storage locations. To save your mix on the A360, press and hold the SAVE button (upper right corner) and then press either one of the channel select buttons or one of the Instant Mix Recall buttons. On the A320, press and hold the RECALL MIX button and then press one of the channel select buttons from 1-8. 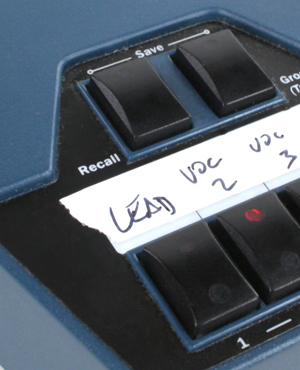 When the A-16, A-16II, or A-16R power up, they automatically recall preset #1. Even if you don’t use presets to change your mix, make sure to save a basic mix as preset 1 so it is recalled the next time you play. The A360 and A320, on the other hand, each remember their last mix automatically, so when you power up an A360 or A320, it comes right back to where it was. Instant Mix Recall mixes on an A360 are loaded just by pressing the A, B, C, or D button; all other presets are recalled by pressing RECALL and then the preset storage button. You don’t need to hold RECALL down. 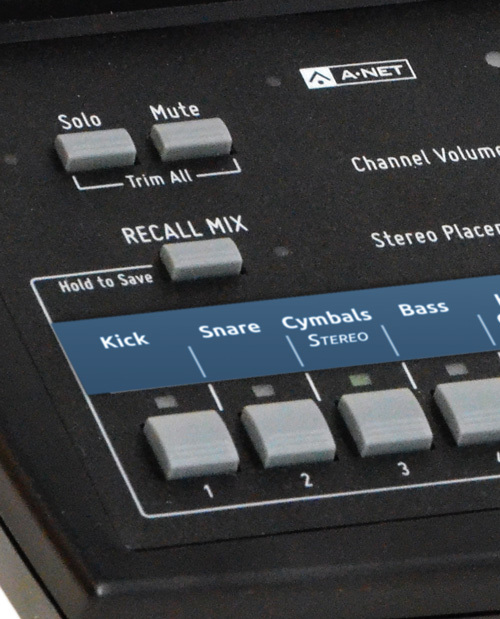 On the A360, mix presets stored in a Pro16 system cannot be recalled in a Pro16e system (Default or Custom mode) or vice versa. This is because the two systems map network channels to mixer channels differently, so a preset saved in one type of system won’t translate properly to the other. An LED flicker will tell you if you try to recall an incompatible preset. Presets are great to use if instrumentation in the ensemble changes (different presets for different instrumentation), if you like different mixes for ballads versus up-tempo songs, or if you play the same set list or songs frequently. They can also be a good way for multiple ensembles to share the same gear (though an even better way to do that with the A360 is to save everything to a USB thumb drive and take it with you!). When you have different musicians working with the same A360 sets, it’s fanstatic that each person can save his presets on a USB stick and reload them when he’s back on duty. It’s like coming back home and finding everything nice and tidy where it should be! Learn how to get more out of your A320 and A360 Personal Mixers by adding more input sources. Explore the differences between the A320 Personal Mixer’s two A-Net modes. 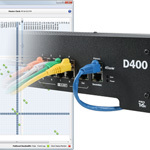 It’s easy to assign channels from a Dante network to the D400-Dante using Dante Controller software. © 2019 Aviom, Inc. All rights reserved.